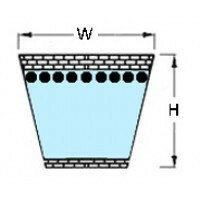 Bearing Shop UK hold large stocks of Kevlar 5L330 , XDV58/330 , B30 Mower Belts with a top width of 17mm, an inside length of 762mm (30"), and an outside length of 831mm. 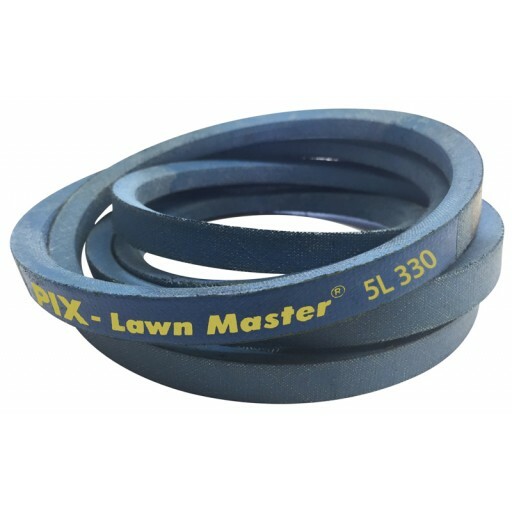 We stock a large range of 5L Section Kevlar Mower Belts specially developed to run on lawn mower decks. Our Belts are a high quality rubber compound reinforced with Kevlar cord to give extra flexibility and strength. As is the case in most mower decks the Kevlar cord allows the belt to be bent backwards around a tensioner, which is not recommended with a normal V Belt. We wrap our Kevlar Belts in a low friction coating to make them perfect for slip clutch driven mower decks. The Low friction coating stops the common heat build up when engaging and disengaging the mower blades and allows for a longer life belt. 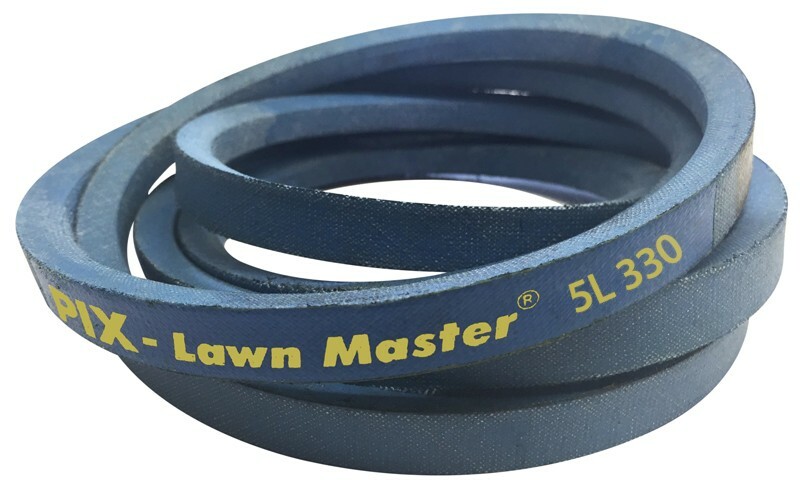 We are very proud of our Kevlar Mower Belts and are more than happy to exchange a belt for a longer or shorter belt if you happen to order the incorrect size. Please also take a look at our Specialist Mower Belts if you have a manufacturer a part number not found in this section. We also do a full range of standard V Belts and Wedge Belts.